The world building in this was particularly engaging, and Van is able to travel back and forth and meet with inhabitants of both worlds easily, which makes it fun. New York, especially the part of it that operates underneath the buildings and streets, is always a fertile area for fantasy titles (think Mebus' God of Manhattan, Collins' Gregor the Overlander, or Fiedler's Mouseheart), and the Collector's building, especially the scary vault, is definitely a very vivid setting. The story with Peter adds a nice dimension, since children whose parents are dating each other probably are very ambivalent about each other. 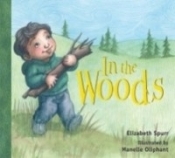 Van's hearing loss is well portrayed, and his struggles with understanding speech are explained in a way that will help younger readers understand what it might be like. Having an opera singer as a mother is not something many children have, so that was interesting as well. Readers who enjoy books where the good and evil sides aren't particularly clear cut, like Colfer's Artemis Fowl series of Delaney's The Last Apprentice will enjoy Van' confusion over whether he should believe Mr. Falbourg's take on the Wish Eaters or Pebble's and the Collector's. I'm still a little torn myself, since Mr. Folbourg is introduced as a kindly, crinkly-eyed older gentleman but at the end manages to disappear, much to Van's dismay. This could be a stand alone title, but I can see the series continuing as well.